Government organizations that manage public parks and recreational public works use parks and recreation software to attract visitors, schedule activities, and manage operations. This type of software can help visitors with registrations and reservations of facilities and activities. Users of parks and recreation software can sell tickets, passes, and other products and services, as well as process payments. Managers use these products to track employee productivity, monitor the influx of visitors, and evaluate the quality of their services. While POS features are sometimes included in parks and recreation solutions, some vendors prefer to deliver integration with POS. Integration with back office software, such as accounting and human resources tools, is also provided to manage finances and employees. Parks and Recreation reviews by real, verified users. Find unbiased ratings on user satisfaction, features, and price based on the most reviews available anywhere. RecTrac is fully integrated parks and recreation management software that increases your efficiency and productivity, while providing management with extensive reporting and statistical data. Fusion makes it easier than ever to manage your organization's recreational facilities and members. For park and recreation departments, YMCAs, campus rec centers and other hubs of community activity. Increase participation by managing registrations, reservations, schedules, facilities, on-site check-ins, memberships—and lots more—all from one system. ACTIVE Net helps you do more with less. An industry leader in Parks and Recreation management software, CivicRec provides an interface that is easy to use for both staff and citizens. There are robust tools for managing activities, facilities, and point-of-sale transactions with integrated functionality to manage memberships, instructors, sports leagues, and ticketing. CivicRec is the complete solution needed to run an efficient parks and recreation organization. Centamans software helps leisure and recreation managers run their local government-run leisure center, aquatic center or community fitness classes more effectively. DASH streamlines complex functions including scheduling, payments, and communications, enabling a seamless and positive customer experience. DASH software easily manages the operations of sports and recreation organizations, providing a fast, uncomplicated experience for staff and customers alike. 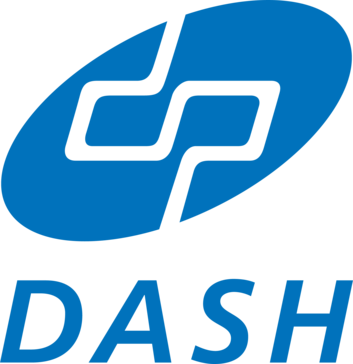 DASH software products have been thoroughly tested by hundreds of recreation organizations and more than a million end-users. Our experienced team offers next-level customer service. We view ourselves as partners with our customers and work closely with them on all levels. Our commitment to solid customer service is reflected in our product – which allows you to provide superior customer service too. With our straightforward pricing structure based on a percentage of the net revenue processed through the system, we are a budget friendly option with top-notch features. EZFacility provides web-based scheduling, billing, member management and reporting tools for any size gym, health club or sports facility. MaxGalaxy enables parks and recreation organizations to manage reservations, registrations, memberships, billing and more in a fully hosted environment. Your customers can enjoy the convenience and flexibility of reserving facilities, registering for programs, purchasing memberships, maintaining family account information and even paying outstanding balances from the comfort of their own homes. Your organization can start with only the applications needed now and add to them later. MaxGalaxy can be used by a variety of organizations — from smaller, private organizations to large Municipal Parks and Recreation Departments. Cloud based program that schedules assets, allocates resources, processes administrative tasks, and manages recreation facilities and services. Program management, financial reporting. marketing and communications tools, security & and PCI compliance. eSIMS is a web-based system that transforms air quality site management. Schedule, log, and track everything in one placesite and instrument maintenance, calibrations, audits, and more. The i-Tree Tools is a forest management tool that quantifies the structure of trees and forests, and the environmental services that trees provide. MyRec.com offers a fully-featured recreation management software that is both easy-to-use and growing to meet new needs as they arise. We support everything from basic program entry to complex activities with daily, weekly, or monthly online registrations and more. This budget-friendly software can help reduce your paperwork and increase office efficiency by offering your public a wide range of information at their fingertips. 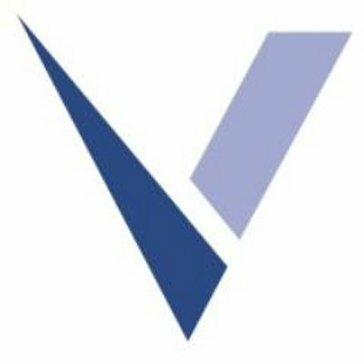 From activity entry to team management and analytics to detailed financial reports, we can simplify your workload to a single management system that automatically updates your online presence at your unique domain. Park and facility mapping and maintenance. By using Accelas simple, cloud-based Recreation and Resource Management solution, agencies of all sizes can streamline daily operations such as registration, fee processing and resource scheduling. ScheduleFM meets your unique scheduling needs by providing flexible functionality to manage scheduling of facilities and other assets, indoors or out, stationary or mobile. SportsMan SQL is a Parks and Recreation Management Software solution, a unique combination of software and services designed for all recreation and activity organizations. Traction Rec is a full service recreation management system powered by Salesforce. It is designed to be a complete replacement for membership, facility, programming, development and other operational needs, as well as the integration hub for systems employed by recreation facilities and associations. Aspira's campground automation software platform offers flexibility and a roadmap of innovation to serve your unique requirements even before you know you'll have them. 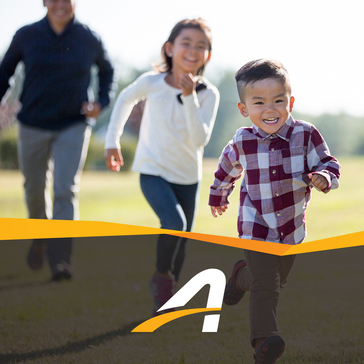 Aspira is on a mission to connect people with the outdoors by providing Campgrounds, RV Parks & Resorts with convenient reservation software and marketing solutions. Aspira's campground and RV park management software platform offers a roadmap of innovation that serves your unique requirements. Aspira provides connected experiences for the outdoor recreation industry. Our comprehensive suite of reservation and licensing technology and service solutions support federal, state, provincial, and local government park, campground, and conservation agencies, conveniently connecting them with outdoor adventure seekers from around the world. Aspira is headquartered in Dallas, TX with eight offices worldwide. Aspira supports DNRs, fish & wildlife, and other conservation agencies in removing barriers to help more people pursue seasonal adventures that grow into lifelong passions. Campground and RV Park management systems. CampgroundBooking is a campground and RV park management that comes with POS, email automation, online booking, and yield management functionality. CampRes Interactive websites and online reservation stand alone as the most powerful and flexible website reservation and marketing solution available to RV Parks and Campgrounds..
Campspot is a Powerful, easy-to-use campground management that optimizes your reservations for maximum return on each spot in your park. Program Management and Facility Management software. eBackup allows for full data recovery within 2 hours of notification during service hours. Non-disruptive seamless backups that are scheduled regularly before and after business hours. Parks and Recreation Management solution manager for services within the organization and community. eTrak-plus is a secure browser-based administration system that handles all of the functions required for a typical parks & recreation department. Leisure Management software for enterprise, single clubs and education. MaxEnterprise applications are not only fully integrated, but they are totally scalable too, meaning your organization only needs to purchase and run the applications you currently need. As your needs grow, new applications can be added within minutes! MySites is a cloud-based as a service (SAAS) campground, RV park management system and e-commerce platform. ReserveEaze offers an affordable reservation system and a free four page website of the amenities your business offers, or you can link from your current website to ReserveEaze system for online reservations. Premier Campground Management is an advanced, full featured cloud-based campground reservation, POS and management system for any size RV park or campground. RecDesk is the Leader in Easy to Use Recreation Management Software. Our cloud-based platform Radically Simplifies the way recreation organizations work with and manage the information that is important to them. We're trusted by Recreation Departments, Aquatics Centers, Community Centers, HOAs, YMCAs and Boy's & Girls Clubs across 44 states and Canada. Recreation and event management tool. Built specifically for sports facilities, RecTimes provides everything you need to manage your venue schedules, collect instant payments, and fill more bookings. SportsPilots Facility management service offers a full-featured resource database, allowing you to create, manage and view facility schedules. Facilities consisting of any number of fields, courts, rooms and other facility resources can be scheduled, rented and managed via SportsPilot's facilities management system. Spinlister is the favorite Bike Rental Platform across 65 countries. Helping shops maximize profit and save time by accepting bookings and payments from any device at any time. The only company that offers an in-store booking option, Spinlister has won rave reviews in the IBD network since 2014. Rent more bikes, while saving money and streamlining your business. Get back to riding your bike more and let us run your rentals! Great Scott Tree Service, Inc. is a tree inventory program called TrimIT. Tyler Parks & Rec™ is a recreation management software solution that is designed to help manage the daily operations and finances for parks and recreation programs. Tyler Parks & Rec provides a 360-degree view of the department's operations and integrates the financial data with Tyler ERP solutions. Its citizen facing web portal allows community members to view upcoming programming, reserve facilities, register for classes, process payments, and more. Hi there! Can I help you find the best Parks and Recreation solutions?